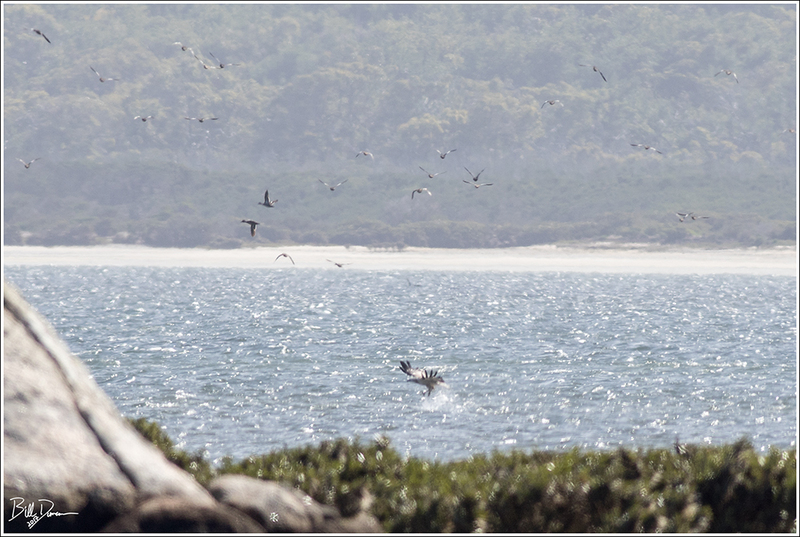 The first place we explored during our single day at Wilson’s Promontory National Park was Miller’s Landing and it’s associated trails. 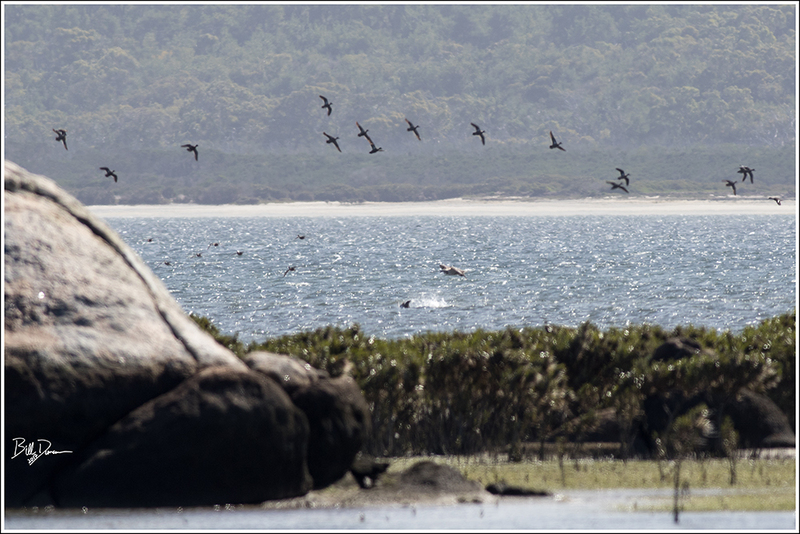 Miller’s Landing is a north-facing beach that leads to a healthy and productive inlet and marine sanctuary. The chances for finding all sorts of birds and other wildlife were high. We just needed to get lucky. After a few minutes of walking along the coastal mangrove marsh at low tide, Collin and I got a show that I’ll never forget. I only wish we had a spotting scope to see it better. 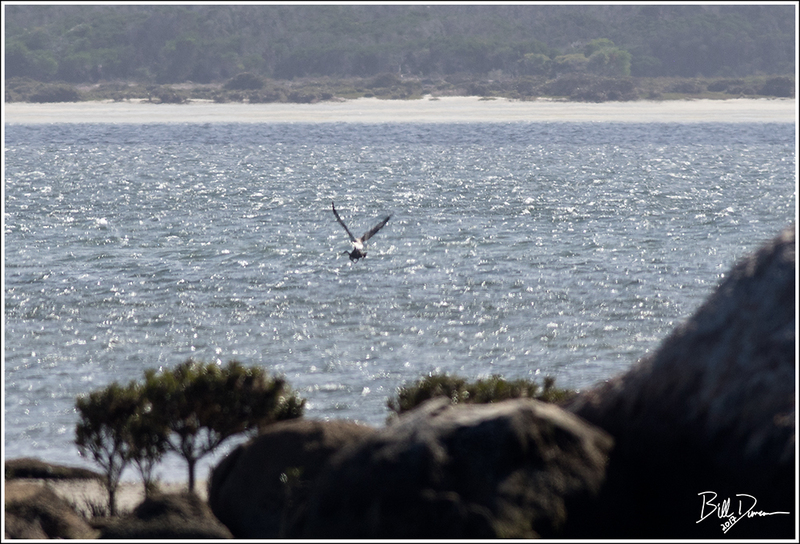 After passing nearly overhead in a horrible back-lit situation, we watched this impressive White-bellied Sea Eagle fly off shore and into the inlet. We thought that would be the end – watching it fly until we couldn’t see it any longer. But this bird was on the hunt. 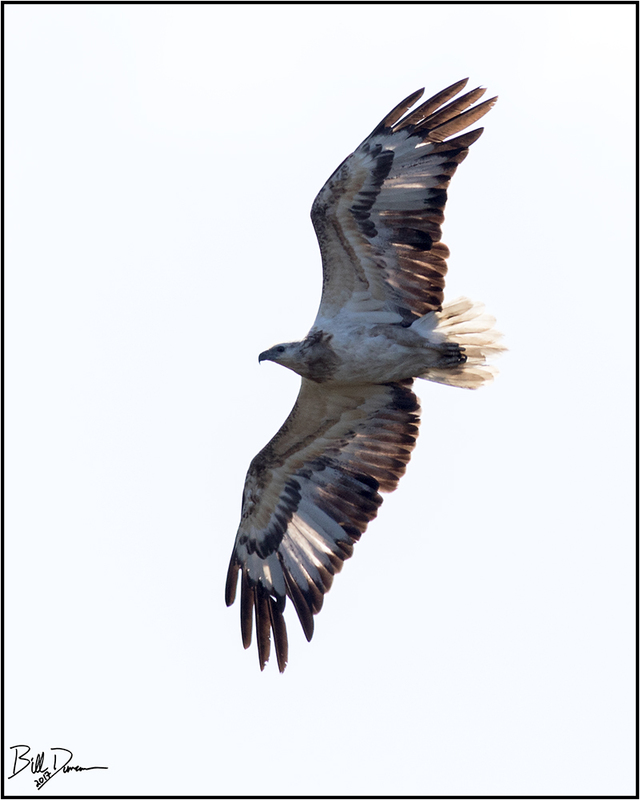 I’m not sure of the species, but for the next several minutes we watched this eagle hunt and eventually capture a duck. Without stopping to rest, this eagle hover-hunted, trying time and time again to capture a duck that was diving and putting up a fight. I couldn’t believe this large bird had the stamina to continuously try at capturing this bird without rest. Collin and I were the only humans on the beach and the only ones fortunate enough to observe this struggle. Although difficult to see in detail from our position, we could tell the duck was trying its best. It lasted at least 5 minutes and perhaps as long as ten. Eventually, the eagle won its prey, perhaps taking it to a nest nearby.